A grammar lesson for the lower levels. 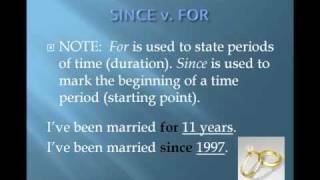 Topic: The simple past tense. This is PART FOUR. 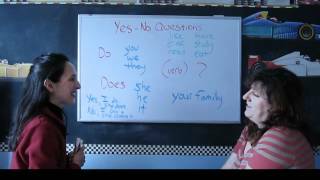 This segment gives additional practice in forming questions and presents rules for pronouncing the "-ed" ending in regular verbs. A grammar lesson for the lower levels. 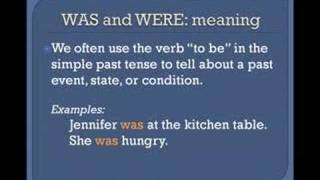 Topic: The simple past tense. This is PART THREE. This segment gives additional practice in forming the simple past tense with regular and irregular verbs. Wh- and YES-NO questions are also presented and practiced. A grammar lesson for the lower levels. 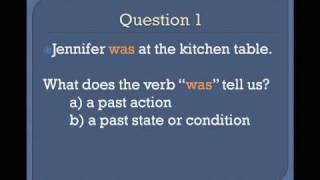 Topic: The simple past tense. This is PART TWO. The past perfect describes an action which happened before something which we are already describing in the past:He missed the train because he had overslept.He didn't get a table at the restaurant because he had forgotten to book one. 1. Yes / No questions:Do you play tennis? Yes, I do.Does she play tennis? No, she doesn't.2. Question words:What time do you get up?Where do you work?When do you have lunch?How often do you go to the gym?Why does she walk to work? Will' and 'Going to' for future use:We use 'going to' for things we have already decided:I'm going to Spain on holiday next month.We use 'will' when we make a sudden decision about the future as we speak:OK - I'll come! Present continuous for actions at time of speakingWe use the present continuous for actions that are happening as we speak - verb 'to be' + 'verb+ing':I´m painting a chair.I´m not painting.I´m reading the newspaper. 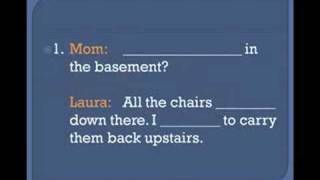 Phoibe teaches how to make English negative sentences. 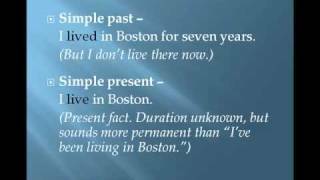 Phoibe explains the difference between the present simple and the present perfect. Phoibe teaches the past simple. Lucia teaches the past continuous tense. Lucia teaches the Past Perfect Continuous also known as the Past Perfect Progressive. Lucia describes the present perfect.tense. 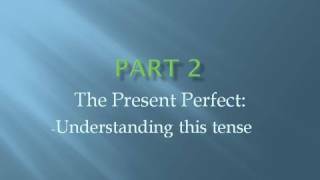 The first in a series of lessons about the present perfect.